Joshua Parham is regarded by his colleagues as an ambitious, well-rounded, results-driven oriented professional. A Licensed Real Estate Sales Person who specializes in residential and investment sales and rentals in Manhattan, Brooklyn and Queens, no task is too large for Joshua to take on. 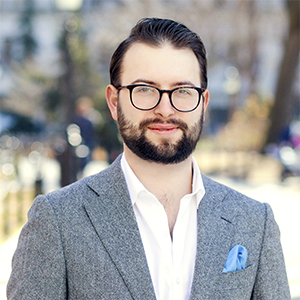 Joshua spent the early part of his career creating and managing start-up businesses in the New Orleans area and as a sales manager in New York. Through innovation, creativity, and outstanding customer service he skyrocketed to the top of his field before pivoting to real estate. His previous experience in the business field provides him with a unique perspective when working with buyers, sellers and renters. Joshua knew as soon as he saw the facilities and tools provided by Compass that he needed to be a part of this amazing company.